The kitchen truly is the heart of the home where body and soul get much needed daily nourishment. It's the place where we kick-start our day with breakfast and end it with a relaxing dinner. It's the place where we entertain at weekends and spend hours preparing for cherished guests, family and friends when they visit. A kitchen can be laid out in various styles and structures. A U-Shaped kitchen, an L-Shaped or an open-style kitchen are all popular kinds of kitchens that are used and designed for modern homes. But the classic style is the old galley-style kitchen which is replete with advantages. The galley kitchen is one that replicates a corridor with two parallel walls housing all counters, appliances and the basic kitchen space. So what are the advantages of the old galley style kitchen? Let’s find out! To begin with, the galley kitchen is one that can be squeezed into any narrow space. So it is perfect if you have a small kitchen. Not only does it maximise your space by making use of an alleyway-style area that you may have previously thought of as useless, but it also takes storage and stacking to a whole new level as it gives you two walls to work with. More on this as we unravel its others advantages! Ever had to deal with a kitchen that you wish had a separate wall to house your precious appliances? Well, this is one problem you will not have to face in a galley kitchen. Thanks to its sandwich-like structure, it offers you the advantage of two walls, which is why it is easy to think about appliances. The appliances can fit into a compact space on either wall and remain within convenient reach. In fact, you can play around with a sleek collapsible door that shuts and opens with shelves within. These shelves can house your smaller appliances and can be equipped with a roll-out feature for easy access and use. As mentioned before, the galley kitchen is one made up of two parallel walls that face each other and hold the kitchen area between them. Now, thanks to this feature, the parallel walls offer maximum storage. One wall can hold a bank of cabinets, pull-out pantry and stove, while the facing wall can hold the appliances and more drawers and cabinets. This makes it an ideal choice as far as storage space goes. So even if your galley kitchen is in an area of the home which is compact and does not have space for a pantry, you have tons of storage to take care of the problem – on two walls! 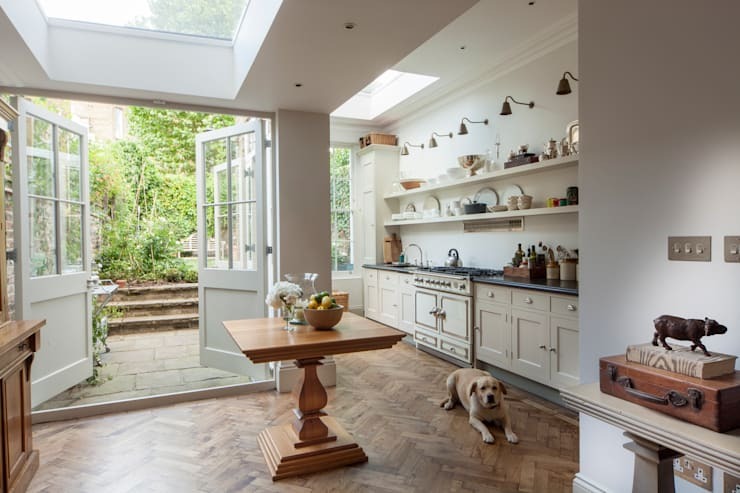 The open kitchen usually eliminates the use of one side by knocking down a wall, while the U and L-Shaped kitchens are also bereft of walls on two sides. But the old galley style kitchen gives you plenty of avenues for storage and more! In this picture, space has been judiciously utilized by well-known Brazilian architect Zoom Urbanismo Architetura E Design. 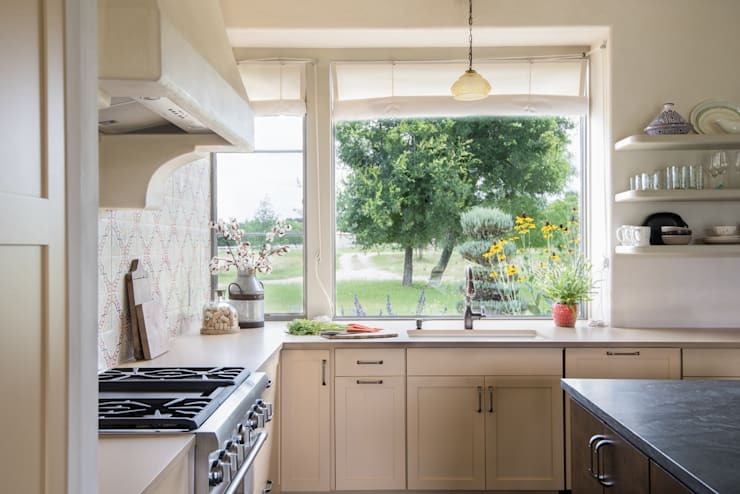 If you were worried about not having space for your cooking preparation and other activities in an old galley kitchen, then you need to stop worrying. In a well-planned galley kitchen, you can still use a kitchen island. With a little space between the two walls, you can fit in a slim table, possibly with wheels, so you can push it back to one end when you need more floor space. The kitchen island is a kitchen essential that helps you fit in many other activities like homework and even work on a laptop as you cook. With a little planning and smart design, you can easily fit one into your old galley style kitchen. While the galley kitchen sounds like a compact home owner’s dream, it does have its downsides, like any new home feature. 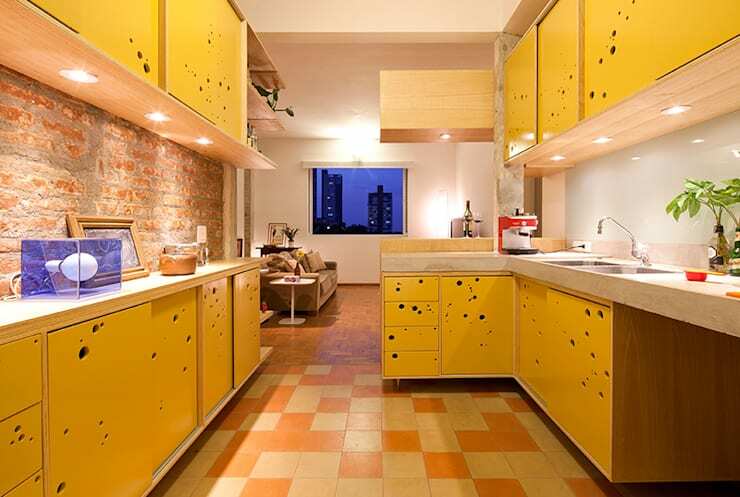 So here are a few considerations to bear in mind with a galley kitchen. Since this kind of a kitchen comes with walls closely parallel to each other and little space for much else besides a kitchen island, it generally does not include kitchen seating. Also, since it is open at both ends, there is little scope to create any such seating which can be beneficial for the homeowner who is busy cooking. This may leave a person with little scope to pursue any other activity simultaneously, thus making it a little cut off from the rest of the home. With the advent of urbanisation and modern layouts, the old style galley kitchen has lost its popularity in recent years. Today, an open kitchen is common, especially for families where the working and school-going members get to spend precious hours with each other in the day. In conclusion, one must consider carefully the kind of kitchen that would best suit one’s home. A busy lifestyle and a compact home would be the perfect prerequisites for a galley kitchen thanks to space maximization, lots of storage and housing of numerous appliances. The many advantages of this style ensure it remains a popular choice irrespective of the few limitations this layout poses. Hungry for more? 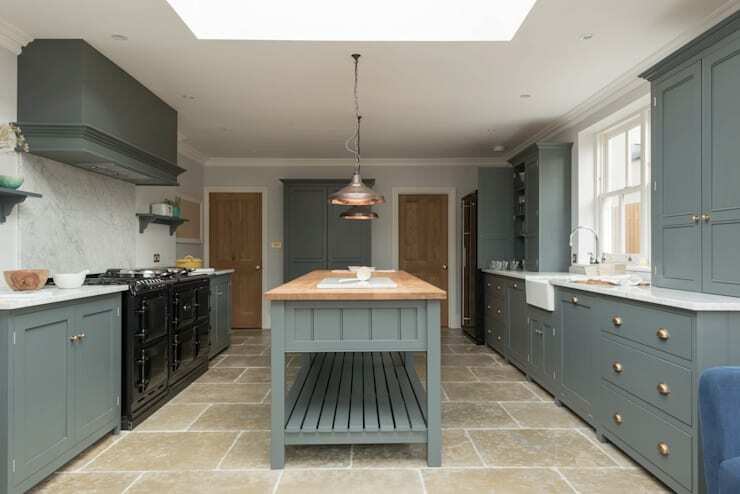 Check out this gorgeous Quintessentially English galley kitchens Ideabook—you'll LOVE these looks! 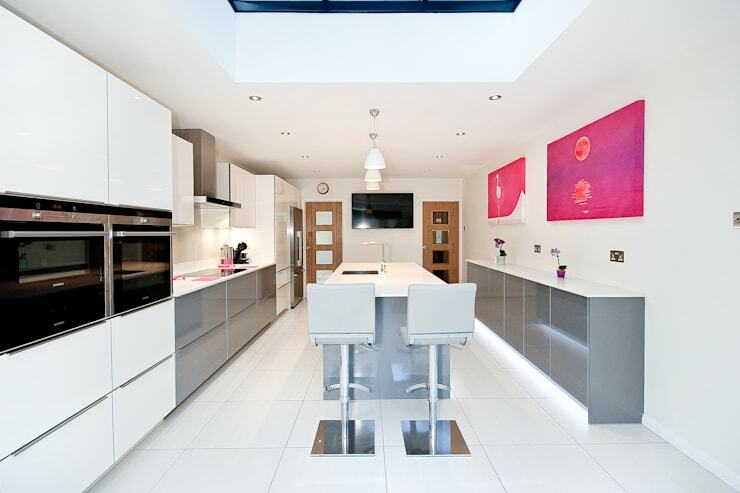 Are galley kitchens your favourite? Let us know in the comments!